30 Weeks and Counting | T.O.T.E. Good morning! I forgot to post this yesterday on “Two’s-day,” so here’s your baby bump update, just a day late. Woo-ie, she is out there! We hit 30 weeks gestation last Friday, which means (dun, dun, dun!) less than 10 weeks to go before #2 makes her appearance. I’m feeling pretty dang good. Between the Flu, packing, moving and life in general, I haven’t been able to exercise in 3ish weeks. I can certainly feel that in my back. But, there is always tomorrow. I plan on starting water aerobics again next week. That pool will feel wonderful!! There is A LOT to do before #2 arrives, including: move into the new house. That is happening this weekend. Please pray for sunny skies!!! Huge thanks to our parents and friends who are coming out (rain or shine) to help. By the way, if lifting and moving heavy objects in return for pizza and beer happens to be your favorite thing in the whole wide world AND you’re located close to Portland, feel free to come on over and help! We certainly wouldn’t turn you away. Hmm…I should probably start packing huh? Andy and I took a refresher course last night on “Relaxation Techniques for Labor.” I definitely laughed…Relax? During labor? Ha! HA HA HA! ha! HA HA HA…ha…ha…oh man (thanks for allowing me a moment of hysterical laughter-turned panic…I feel much better now). Actually the class really helped us (mostly me) focus and set some goals for #2’s delivery. That will be a post all it’s own. And then I remember what it is like to have a brand new baby. And they do rest. They sleep a lot. Thank you God! Post coming soon: The rooms are painted! Thanks for all your suggestions. I think the house looks amazing. And a HUGE thank you to Bob and Julie for coming out last weekend to do it! It wouldn’t have happened with out you! 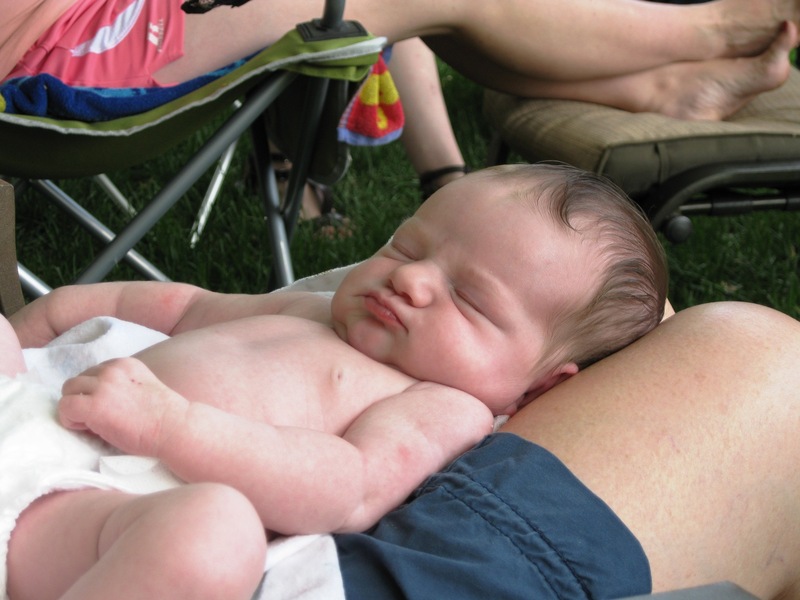 Here’s to sleeping like a newborn baby! You look downright stunning by the way. great baby bump can not wait to meet the new #2.